Robin Riley, head of digital engagement at HM Revenue and Customs, shares his insight into online and social strategy measurement ahead of his masterclass on the subject at the PR Summit. What are your top three tips for effectively measuring digital and social? Be as creative in designing your digital evaluation as you are in designing your digital content. Look for innovative ways to ascribe business value to digital and social activities, for example the engagement value of a Facebook page could be equivalent to hosting a conference. Don't settle for the metrics that your digital evaluation tool gives you - design your own metrics and select tools that deliver those. Come to my masterclass session at the PR Summit, which is on this very subject! I think PR and Comms are getting closer and closer to the customer service function. The rise of social means that your corporate reputation, and the quality of your customer support, are two sides of the same coin. If people get bad service they'll tweet your chief executive. Likewise if they don't like your corporate strategy they'll say so on your social media support channels. In a word: Science! I predict that data analytics and numerical models will become more commonplace in PR. There might even be a move towards more general scientific approaches - watch for PR people including words like 'experiment' and 'peer review' in their plans. Think about the full value of your engagement and include a wide range of success measures. A successful comms strategy doesn't just deliver conversions or sentiment; it contributes to your organisation's learning, insight and innovation. The session on Social Media in a highly regulated environment. It's time for social strategies to get real, and that means getting rigorous. 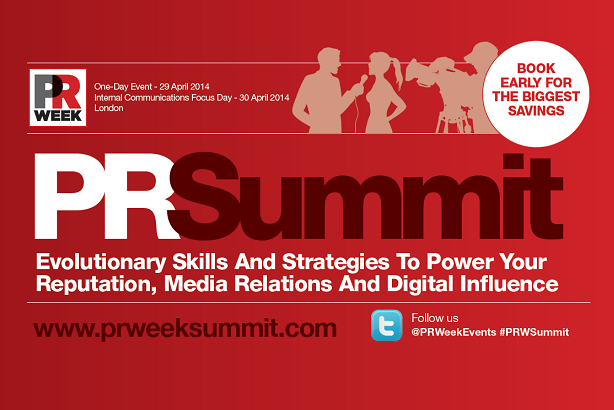 Robin Riley will be speaking at the PR Summit on 29 April. Find out more about the event, including details of the day's agenda and other speakers.